Cauliflower like growth at right and left eye. 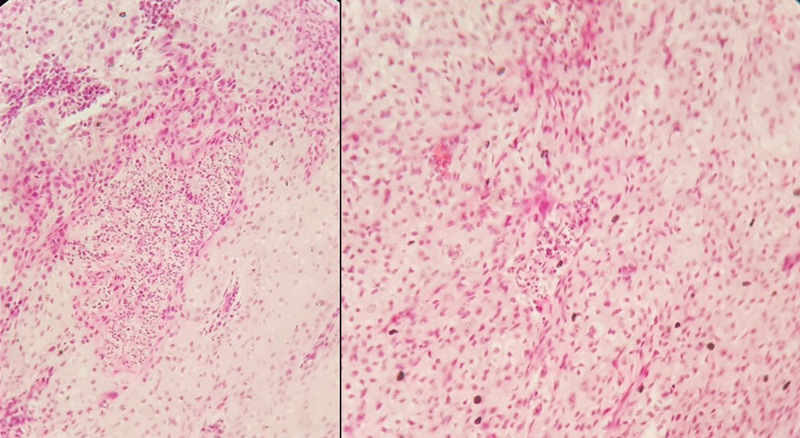 Histopathological features of the dermic neoplastic growth. H&E x10.